Good afternoon my dear friends! 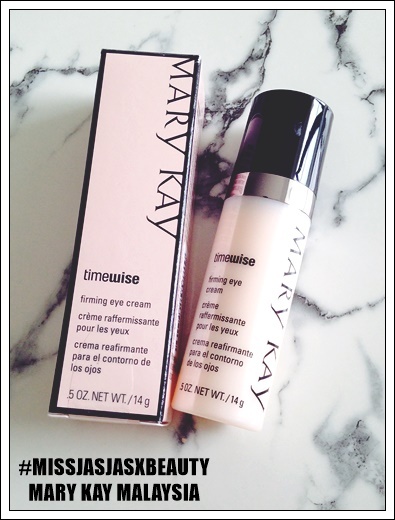 I have found the best firming eye cream from Mary Kay. Why I say that this product is the best? It is because it is suitable for my sensitive eyes area. I have been using several of brands which I found out that it is not suitable for my sensitive eyes area. My eyes area is quite troublesome as it is very sensitive. I am sure many of you (your eyes) are sensitive too. 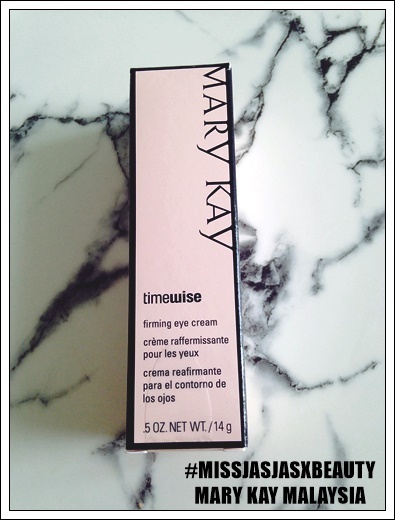 So, I am superb recommend this TimeWise Firming Eye Cream which you can try this brand - Mary Kay. Anyway, the skin around the eyes is the thinnest, most-delicate skin on the face. That's why we need suitable eye cream for our eyes. Functions : Amino Acids and Peptides & their Derivatives : Used to help maintain healthy skin. These ingredients are the building blocks for proteins, like collagen. Functions : Amino Acids and Peptides & their Derivatives : Used to help maintain healthy skin. These ingredients are the building blocks for proteins, like collagen. Functions : Moisturizer/Hydrator : Helps condition and smooth the skin by adding, attracting, or retaining moisture. Soothing Agent : Known for its calming and soothing properties. 5. Superb recommend this firming eye cream because I don't like to apply eye cream as I couldn't find any suitable eye cream for my eyes but now, I found!